Here is an easy and delicious way to get 2 cups of vegetables and 1 cup of fruit a day! 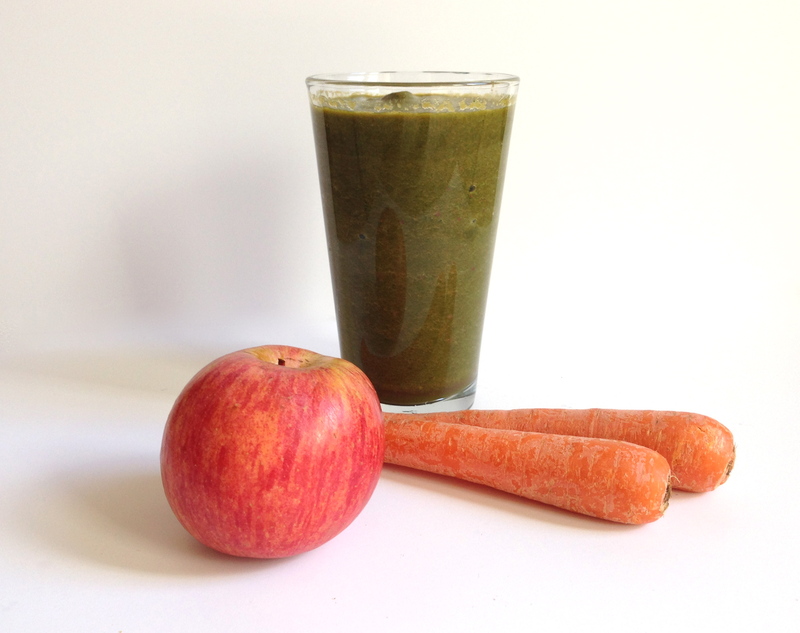 The carrots and apple give this smoothie a nice sweetness! Place all of the ingredients in a blender and liquefy. Serve immediately.